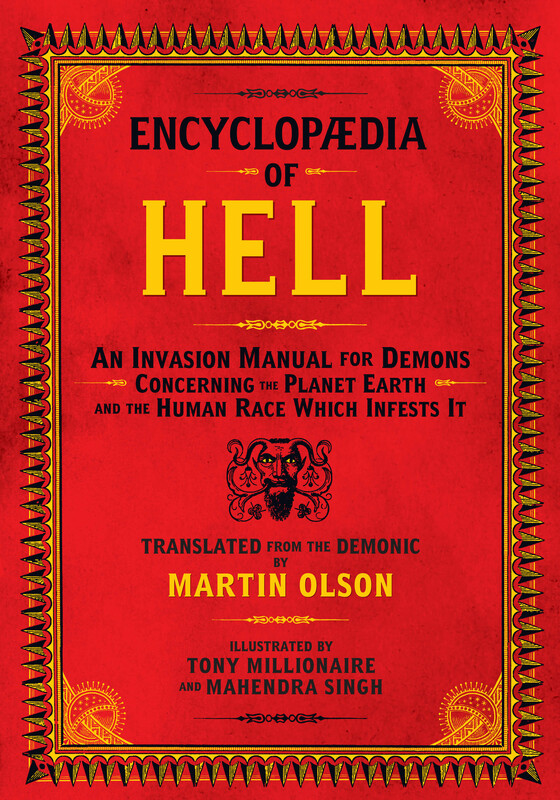 Yes, the delightful Encyclopaedia of Hell: An Invasion Manual for Demons Concerning the Planet Earth and the Human Race Which Infests It has just appeared at Feral House hdqts, and will be available to human pus factories within a week or two. Its author, the Lord Satan (transcribed by Martin Olson, this century’s equivalent of Ambrose Bierce and Mark Twain) has created a masterpiece of disgust for the human form, and he was ably assisted by clip-art master Sean Tejaratchi, and illustrators Tony Millionaire and Mahendra Singh. When Martin Olson first revealed his samizdat creation (created over the years, and passed around hand-to-hand at those demonic lodges known as movie studios), its fucked-upedness and vicious hilarity demanded publication. 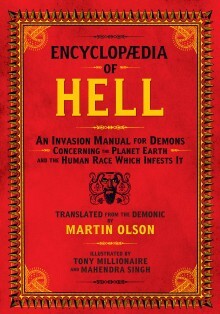 Encyclopaedia of Hell is one of those antiquarian creations called the “paperback book” that cannot adequately be replicated by a digital book reader, and you have to see this book in person to understand why.